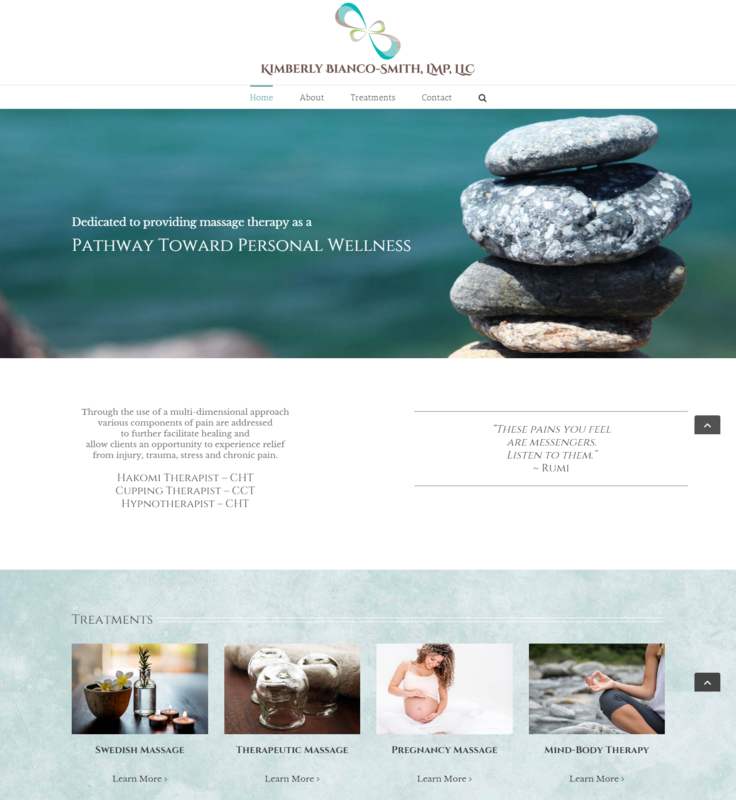 Kimberly Bianco-Smith is a massage therapist and much more to her clients in Snoqualmie. This website was another collaboration with Geyser Studio to bring a new brand to life. We used a existing WordPress theme and suggested appropriate information architecture for effective user experience. The result is an attractive and usable website delivered at a surprisingly low price point. Visit Kimberly today and benefit from her excellent focus on client health.